Remember, some time ago, I wrote I was reading a book for over 2 years and did not want to give up on it before I was through the story. I could not get further in the story line; everything was taking forever. The problem is that I hardly have time to read, but nevertheless, it's a fun and great book. 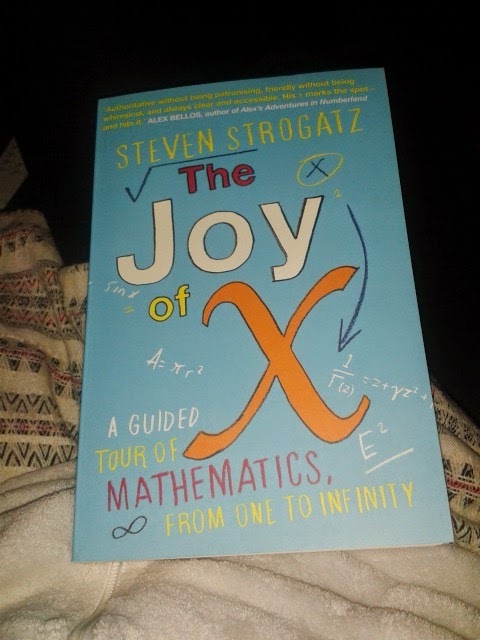 Yep, a nerd-like kind of book but the idea is to give an easy and daily basis approach of Mathematics. Where we can find it on our daily life. A nice way to demystify the "Math-monster"!